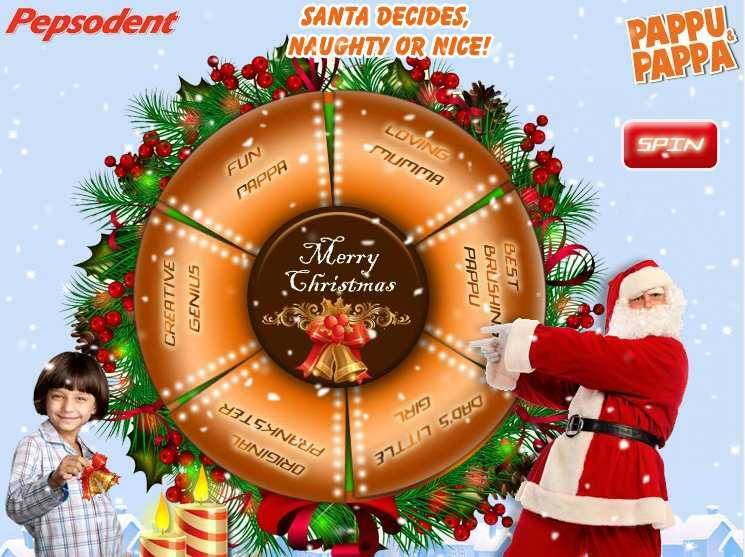 Here is a Christmas offer for you where Santa is giving lots of prizes to everyone . This is simple Spin the Wheel contest where everyone is a winner, Just spin the wheel and get assured prizes like DVD's and Vouchers as gifts from Pepsodent. Click here to Visit Pepsodent Facebook page and Click Like button on top. On the application page, Press click here and enter your name. One user can spin the wheel only once and there are many exciting prizes to be won like Pepsodent picBadges, Rs.100 gift voucher,Rs.500 gift Vochers,free DVDs and lots more. So try your luck and see what Santa has brought you this Christmas and Don't forget to let us all know by commenting below in case you win something big. UPDATE: There are 6 types of prizes. Pic Badge and Wallpapers are given on the spot. Other 4 prizes include Disney DVD, Rs 100 Voucher, Rs 200 Voucher, Rs 500 Voucher. These 4 Gifts will be delivered to the address entered. Rs 100, 200 and 500 Gift Voucher can be redeem on selected offline stores to buy HUL products or You will get product of that amount delivered. Before that Pepsodent will contact all the winners. We have got this information through some source. We will further update this once we get more reliable information. TIP: Whenever you get Pic Badge or Wallpaper and you dont want it then refresh the page before clicking Claim Gift button. Try your luck again untill you get Something good. We found out a great deal for all our readers. Now you can get a 8GB Pendrive with the cost less than that of 4GB pendrive. Lets us see how to get such discount! Snapdeal is offering Strontium Bold 8GB Pen Drive for Rs 349 but you can use the coupon code ( as already mention in previous post) to save 100 more bucks. 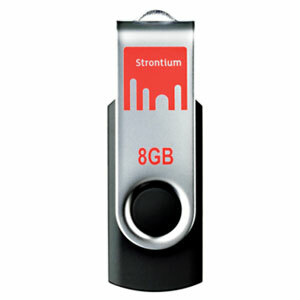 How to get Strontium Bold 8GB Pendrive for Rs 249? Click here to go to Snapdeal's deal page. TIP: Cash on Delivery available. Now Get Rs 200 off on Minimum purchase of Rs 500. You can surf and find products you need. After so many Rs 0 deals, Snapdeal.com is up with a new offer and yes, this time they are 20 winners. So guys more probability to win. How to be eligible for this Draw? 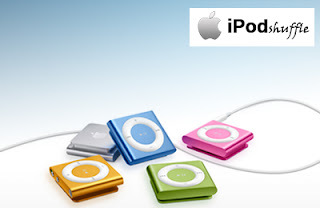 Click here to go to Snapdeal.com deal page. Click buy button and proceed to payment. Sign in if not already done. Enter Shipping details and Complete order. Once you select your product and proceed to make a payment on the Select Payment Option page, enter the above discount coupon number and click on apply. 11% or Rs. 2750, whichever is lower will be deducted from your Total Amount Payable and the discounted Net Amount Payable will be displayed. This discount coupon is a Christmas special 1-day offer on HomeShop18.com for all its customers, valid only on 25th December, till 11.59 pm. It entitles you to avail an additional discount of 11% or maximum of Rs. 2750 off, whichever is lower, on all the products except mobiles & its sub-categories on www.homeshop18.com. This coupon is valid on a minimum purchase of Rs. 500. Purchases can be made by multiple modes of payment including; payment by Debit/Credit card, internet banking, Cheque and DD.